FERC did decide to take steps to evaluate the resilience of the power system. It directed regional transmission organizations and independent system operators, which move electricity through the grid, to submit information. FERC said it expects to "promptly decide whether additional Commission action is warranted to address grid resilience." "This is a good day for everyone who cares about good governance and healthy markets," said Justin Gundlach, a staff attorney at Columbia University's Sabin Center for Climate Change Law. Gundlach slammed the Energy Department proposal as a "gambit that sought to funnel money to uneconomic coal-fired power plants in a way that would have ignored the law." Former New York Mayor Michael Bloomberg, a U.N. special envoy on climate change, called the FERC decision a win for "consumers, the free market and clean air." He said Perry's proposal was an attempt to "prop up the coal industry by forcing American consumers to pay more for energy." Former FERC commissioners warned in a letter last year that the Energy Department proposal would raise costs for customers and "disrupt decades of substantial investment made in the modern electric power system." The FERC decision is bad news for coal companies hurting from a wave of retirements of coal-fired power plants that have switched to cheaper fuels like natural gas. Between 2010 and 2015, coal plants accounted for more than 52% of retired power plant capacity, according to government statistics. Murray Energy argued the new rule would ensure that coal plants would be there to supply electricity when it's most needed, especially during extreme weather like the recent cold weather in parts of the United States. The Energy Department said the rule was needed to "address the crisis at hand" regarding the resilience of the electric grid. The department cited the 2014 extreme cold snap known as the Polar Vortex as well as natural disasters such as Hurricanes Sandy, Harvey and Irma. However, some analysts pointed out that power outages are usually caused by downed power lines, not a short supply of fuel. Less than 0.1% of all electricity disturbances over the last five years were caused by fuel supply emergencies, according to a report by the Rhodium Group, a research firm. Apple (AAPL) wrote a letter to FERC on Monday urging the agency to reject the Energy Department proposal and stating that the "grid is not facing a crisis." Apple warned the proposed rule would "inhibit, rather than promote, a well-designed and competitive electricity market that can drive down costs for consumers and unleash competition." Climate activists cheered the FERC decision. 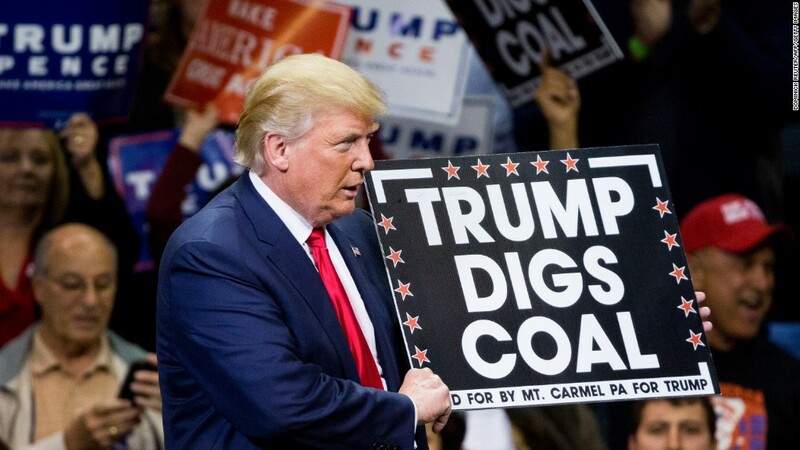 "FERC's announcement is a return to reality after months of billionaire coal and nuclear executives pressuring DOE and FERC to illegally setup bailouts for their uneconomic plants," Mary Anne Hitt, director of the Sierra Club's Beyond Coal campaign, wrote in a statement.